Since 1948, both the Palestine Arab refugee problem and the United Nations Works and Relief Agency for Palestine Arab Refugees (UNRWA) have been studied comprehensively. Almost since its inception, UNRWA, the international agency charged with aiding the refugees, has worked against their resettlement in Arab countries where Palestinians are located. One way UNRWA has done this has been by shifting its mission from refugee relief to education, devising its own expanded definitions of who is a refugee, and expanding its legal mandates to "protect" and represent refugees. As a result, the Palestinian clients of UNRWA have gradually taken over the organization and have undermined an international relief effort, created in naïve good faith, but with the complicity of the UN General Assembly. 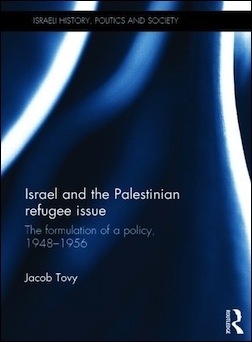 In his new book, Israel and the Palestinian Refugee Issue: The Formulation of Policy, 1948-1956, Jacob Tovy, a research fellow at the Herzl Institute at Haifa University, tackles the origins of Israel's policy towards the refugees from 1948 to 1956 and brings to light many of the Israeli sources regarding this topic showing the decision-making process that has gone into Israel's policies towards the Arabs of Palestine. One of the interesting parts of Tovy's book is his treatment of Israel reaction to the Economic Survey Mission (ESM) in the winter of 1949. The ESM's mission was to assess what could be done regarding the refugees. It was anticipated that this US-led regional development program would help raise the overall economic level of the region and thereby facilitate resettlement of Palestine Arab refugees, something the author shows the Israelis favored. For the Israeli team, the solution was clear and rested only within the framework of resettlement; repatriation was not part of the equation. The orientation of the commission, particularly under former TVA chairman Gordon Clapp, signaled to all parties that Washington would back a large-scale regional development orientation that could benefit both the major states and the refugees. For the Israeli team led by Foreign Minister Moshe Sharett and Finance Minister Eliezer Kaplan, the solution was clear and rested only within the framework of resettlement; repatriation was not part of the equation. Even today the Israeli perspective has been consistent, that is that UNRWA has prolonged and exacerbated the problem rather than working towards real solutions that would have resettled the Arab-Palestinian population. The ESM does not always get enough attention in the Israeli literature and Tovy is able to underscore this for the Israeli student of the conflict. It would have been useful to include other relief programs such as the one conducted in Gaza by the American Friends Service Committee (AFSC) and their relationship with Israel in order to highlight the layers of relief initiatives. As by 1948, the AFSC was at the height of its international prominence. Further, the AFSC's 18 months operation in the Gaza Strip was exemplary. The organization provided food, set up schools and clinics, and faced down the Egyptian military. 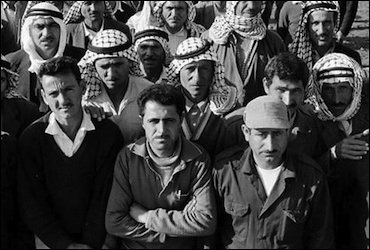 Unlike any other relief organization at the time or since, the AFSC conducted an accurate census and reduced its rolls of Palestinian refugees. Moreover, the AFSC understood that even if the refugees did accept resettlement, no Arab state would accept them. The only possible solution would be political, not economic. And such a solution did not seem likely in the near future. Tovy's research is a welcome addition to the corpus of materials on the Palestinian refugee problem. To its credit, the AFSC could not countenance participating in an open-ended relief program, which it believed would intensify the "moral degeneration" of the refugees and the degradation of their skills, self-reliance, and self-respect. As a result, the AFSC withdrew from Gaza in early 1950, turning its responsibilities over to the United Nations organization UNRWA. By the 60s, the AFSC began to take a more explicit and fervent pro-Palestinian stance, applying its growing radicalism and willingness to accommodate the use of violence to the Middle East conflict. Tovy's extensive research is a welcome addition to the corpus of materials on the Arab-Palestinian refugee problem, opening a door to the Israeli decision making process, which at times has avoided tackling the problem, allowing it to fester and grow. However, understanding the relationship between Israel and other religious and non-religious NGOs is an angle of great importance. Asaf Romirowsky is a fellow at the Middle East Forum, and co-author of Religion, Politics and the Origins of Palestine Refugee Relief (Palgrave Macmillan, 2013).